"Turn to me and be saved, for I am God." - God. The questions are: "Why wouldn't we, and why would we?" You'll find the answers if you know the greatest truth. We've all got it, every one of us. Everyone in the world. Nagging, eating way, bothering us on some level. Guilt. How do we get rid of it? in this sermon you'll hear 4 bad ways to get rid of it, as well as the only way guilt is truly gotten rid of. The people of Israel knew the drill. They'd be in trouble, and they'd cry out to God, and he'd rescue them. Except...for the time he didn't. Did his forgiveness run out? Did he decide the people had gone too far? Did he just get tired of saving? This one's difficult. Why did it have to happen that way to Korah, Dathan, Abiram, and their households? Answer: We don't know, exactly. But God is God and we are not. And that's a good thing. It's perhaps a miracle that Jeremiah did NOT feel like giving up, considering what he was going through...but what makes us feel like giving up, and what happens when we do? Where do we turn? God tells us, through his prophet Jeremiah. Good things are good....but too much of a good thing can be bad. Bad for you. Giving a good thing too much weight in your heart can destroy you. And inevitably, that's what we do--we fall into the temptation, we lose the battle. What happens then? People have always known that it's good to love one another. Everyone knows that. But Jesus said it's no longer about simply loving others as you love yourself. He said, "Love one another as I have loved you." And that's a command that truly new. How do you answer the question, "Is it worth it?" Jesus had told his disciples that followers of him would necessarily deny themselves and be willing to daily bear many crosses. 8 days after saying that, Jesus would show them the whether (and why) following him was worth it. Jesus didn't just say "love your enemies" because it felt like it. He commanded it because, well, loving your enemies just what people do who recognize the difference between "were" and "are." Because how could you not? #blessed is used as a label in over 106 million posts on the photo-sharing platform Instagram. But what does being blessed really look like? What situations, what types of life circumstances, merit the descriptor "blessed"? God gives us his answer through Paul, as Paul reflected on his "thorn in the flesh." "Because you say so," was the reason...the only reason that Peter decided to do what Jesus suggested. And when Jesus' instructions paid off, all Peter could say was, "Get away, I am a sinful man!" But Jesus didn't get away--and what is more, he refused to leave, and instead came even closer. Does he do the same for you? Does Jesus Think You're Special? In short, the answer is “no.” And that’s a good thing, because it heals you of worry and anxiety about yourself, and your accomplishments, and you're standing. Instead, you’re free to simply rest in how special Jesus is. It was Jesus' first public miracle: he created 900 bottles of the best wine out of water at a wedding celebration. But why? What was the point of his miracle? What should the headline have read in the Daily Cana Chronicle? Why did Jesus get baptized? He didn’t need to have his sins forgiven, he didn’t need to receive faith—he was already the Savior! Why, then? Jesus was baptized because in his baptism he received benefits in two ways. Two of the same ways that you benefitted from your baptism. Are you Christmas-ed out? All the preparations, food, music, planning, presents...everything else? If so, that's okay. Because Christmas is much greater, and much different, than all those things. "Live a bright life in order to overcome the darkness in the world and in your heart," is not something Jesus ever said. 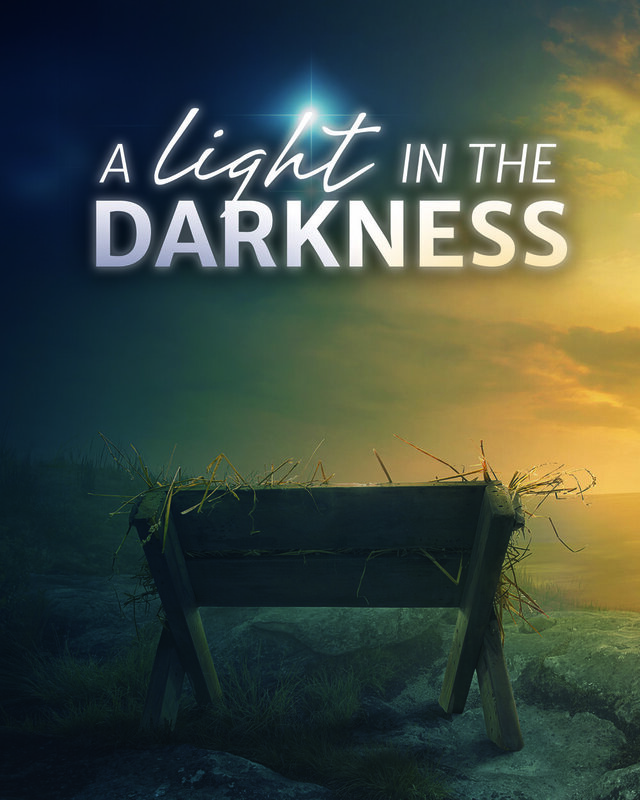 Christmas is about God giving his Son to be the light in the midst of all darkness, internal and external. "Come and see what God has done!" It's tough to read, tough to think about. Joyous, yet nightmare-ish. Touching, yet jarring. It's Christmas from God the Father's perspective, shown in Revelation 12:1-6.